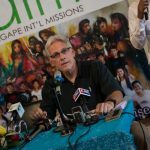 A government official on Wednesday admitted that his now-defunct recruitment firm had sent a 16-year-old Cambodian maid to work in Saudi Arabia, where she was stranded for 12 years until a viral Facebook video calling for help finally prompted her repatriation this week. 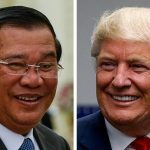 The U.S. is set to impose visa restrictions on four countries including Cambodia, enforcing a law that allows sanctions when foreign countries refuse to accept nationals who have been deemed to be in the U.S. illegally, according to a U.S. government official. Singaporean oil and gas exploration firm KrisEnergy on Wednesday signed economic and technical agreements with Cambodia for the country’s first oil field development, three years after buying out U.S. oil giant Chevron’s share of the block. 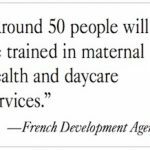 Cambodia has made significant gains in resolving complaints made by its migrant workers, but did not punish offenders in any of the nearly 500 cases studied, according to a new report published by the International Labor Organization (ILO) on Wednesday. 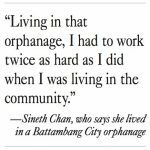 In a shop in Thailand’s southeastern Chanthaburi province, 23-year-old Cambodian worker Chheng Chhor Laihieng said he had good reason to seek employment outside his home country. 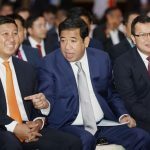 An official at the Cambodian Embassy in Kuala Lumpur said on Monday that with more Cambodians seeking support and refuge amid a labor crackdown by Malaysian authorities, the embassy’s budget was not enough to pay to bring them home. 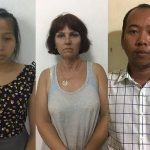 The trial of an Australian woman and two Cambodians accused of illegally operating a surrogacy business in Cambodia came to an emotional close on Monday as two of the defendants begged the court to return them to their children. 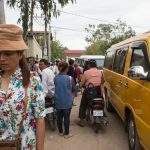 On a narrow side street on the outskirts of Phnom Penh on Tuesday, cars and tuk-tuks crept slowly along as hordes of pedestrians and motorbikes blocked their paths. Food carts and steady streams of customers lined the road. 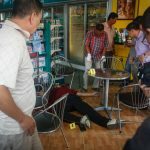 Coinciding with the one-year anniversary of the murder of political analyst Kem Ley, 164 human rights and civil society organizations repeated a call for an independent inquiry to take over the ongoing investigation. 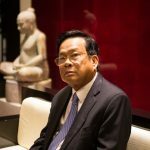 The Thai government has agreed to set up stations across Thailand where Cambodian illegal migrant workers can register for documents that will allow them to stay and work in the country, Labor Minister Ith Sam Heng said at a news conference on Thursday. 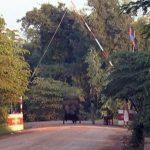 Hundreds of fearful and confused Cambodian migrant workers—including those with legal documentation—are continuing to flee Thailand, workers said on Tuesday, even as both the Cambodian and Thai governments called for calm among the migrant workforce. Applications for passports increased by 50 percent on Monday after thousands of Cambodian workers began pouring in from Thailand amid a crackdown on illegal migrants by the Thai junta, an Interior Ministry official said. 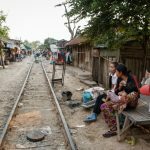 Australians facilitating tours and volunteer programs at orphanages in foreign countries such as Cambodia may eventually face criminal charges if a recently opened inquiry in Australia results in legislation. 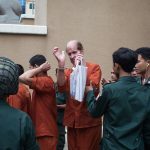 An Australian filmmaker and outspoken government critic who was charged with espionage crimes earlier this month was denied bail during questioning at the Phnom Penh Municipal Court on Wednesday, his lawyer said. Banks and microfinance institutions should lower interest rates and extend payback periods for low-income Cambodians taking out housing loans, representatives from NGOs, the government and the private sector said on Tuesday at a housing forum in Phnom Penh. 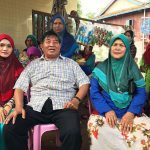 For 31-year-old Saffir Prak, one of Cambodia’s ethnic Cham Muslims, on Sunday marked the end of one month of training in patience and gratefulness.